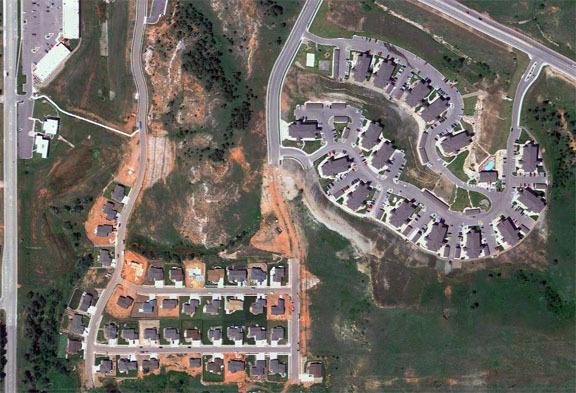 A Housing Developer in Rapid City, SD developed a 52-lot subdivision in the Black Hills called Prairie Meadow. Site Work Specialists, out of Rapid City and Dickinson ND, provided the heavy equipment and services to build the infrastructure of the Neighborhood. Prairie Meadows is set to go with sanitary & storm sewer, concrete curbs and gutters, paving, water and mass grading.